Some of this research also relays the expectation that housebuilding is not meeting demand, with 60% claiming that homeowners will be more likely to renovate than move home. Less than a third of people in a survey by construction consulting agency McBains believe that the government will meets its target of building one million homes by the end of the decade, the main reasons being lack of land, skilled labour and a source of financing. Since the EU referendum in Summer 2016, the construction of properties has taken quite a dive. 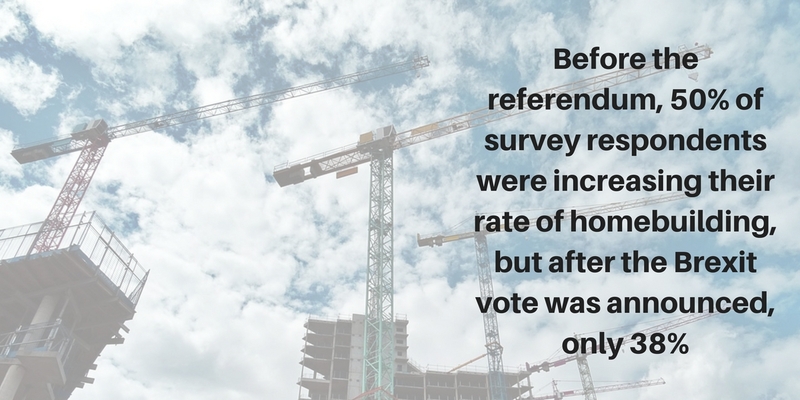 Before the referendum, 50% of survey respondents were increasing their rate of homebuilding, but after the Brexit vote was announced, only 38%. Homebuilders in the survey think the answer lies in releasing more publicly owned land as well as devising incentives for large construction firms to build homes faster. Other interesting data picked up includes a high level of optimism for the housing market in general, especially in London, with an overwhelming 65%. Some housebuilders have found it more difficult to find staff from outside the UK, and ‘skilled itinerant workers’ from outside the UK make up 20% of the housebuilding labour force. The problem however is not as profound in London as it is elsewhere in Britain. One of the main reasons cited for the pessimism in the rate of housebuilding in 2018 is the lack of financing. Homegrown is a simple online platform which connects investors of all calibres to property development projects in the UK. If you would like to find out more about our list of investments, click here.